Brain trust of sorts. Israeli Ministry of Foreign Affairs photo. The ideal prime minister is a man (or a woman) of vision. He knows what his country needs — not only today, but for generations to come. His vision embraces the entire needs of his country, of which foreign relations is only one aspect, and not necessarily the most important one. He sees the social, economic, cultural and military aspects of his vision. For many generations, Jews were a helpless minority in many countries, West and East. They were entirely dependent on the graces of the local lord, count, Sultan. To remain in his good graces, a member of the Jewish community, generally the richest, took it upon himself to gratify the ruler, flatter him and bribe him. Such a person became the king of the ghetto, admired by his community. The social composition of his camp is even odder. They are the masses of Oriental Jews, who feel despised, downtrodden and discriminated against in every respect. By whom? By the Ashkenazi upper classes, the “whites,” the Left. Yet nobody could be more Ashkenazi upper-class than Bibi. He is a cautious person, far from being an adventurer. Most of his admirers would like him to annex the West Bank outright, or at least large chunks of it. Bibi restrains them. But doing nothing is no real answer. In the end, Israel will have to decide: make peace with the Palestinian people (and the entire Arab and Muslim world), or annex all the occupied territories without conferring citizenship on the Arab population. Ergo: an official apartheid state, which may turn in the course of generations into an Arab-majority bi-national state, the nightmare of almost all Jewish Israelis. There is, of course, another vision, which nobody mentions: waiting for an opportunity to implement another Naqba, expel the entire Palestinian people from Palestine. However, such an opportunity seems unlikely to present itself a second time. Hang on. Whatever happens. Indictment, trial, conviction, just hang on. If everything falls to pieces, democracy, the courts, law enforcement agencies — just hang on. I repeat the suggestion I made last week: in due time have him confess, grant him an immediate pardon. 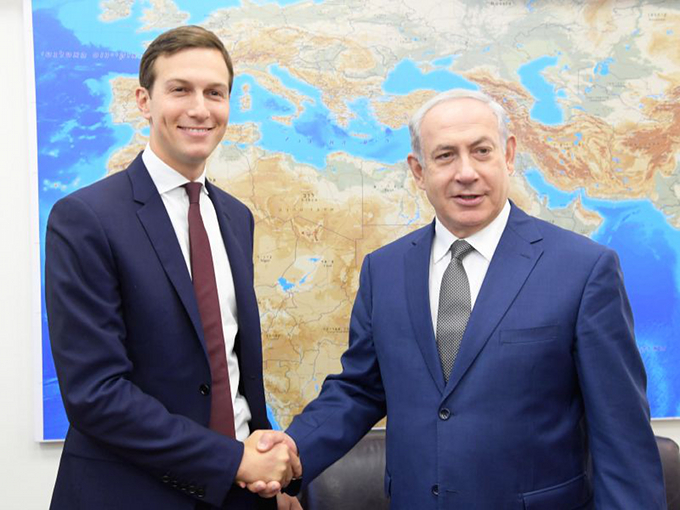 Let him keep the loot, and — bye bye, Bibi.